When you add tea dresses to your wardrobe, you give yourself a gift that enhances your whole life and lets The Elegant You shine. Days are long, and they’re filled with chores, work and a million other tasks that take up your energy. Recharge, and look great doing it. Read on to see how simple and beautiful dresses add elegance to your daily life. You don’t need to have frills, high heels, jewelry or an up-do. Now, that’s not to say that you can’t add those features to your ensemble, but beautiful, comfortable tea party dresses for women need none of those things. During summer, the hot days can drag by. 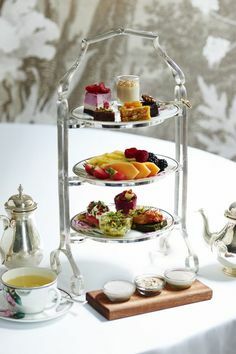 Whether you’re working in an office, or getting messy in the garden, taking an hour for afternoon tea is a great way to reconnect with yourself. A tea dress is a great way to make that connection enjoyable. It’s just not the same when you plunk down on a couch in your work clothes to escape into a short moment’s rest. Taking time to change clothes, and enjoying the dress you choose, turns your afternoon break into a truly relaxing experience. Tea dresses are perfect, especially in the summer. They are light and breathable, loose fitting and easy to wear. While lighter colors traditionally rule this roost, modern vibrant colors are making their way onto the scene. In the cooler months, a simple, classic cardigan in a neutral color will usually go with most dresses and give you a sense of cosiness in your outfit. So, head to your closet, quickly change into a dress that makes you look great, or feel great (or both!) and enjoy a quiet setting in your pretty outfit. Wearing tea length dresses is the wardrobe equivalent of stopping to smell the roses. Yes, jeans and a t-shirt are comfortable, too, but they’re not elegant. 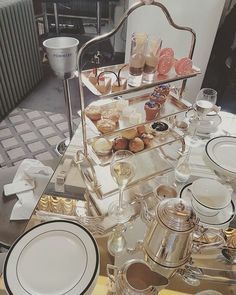 You can skip the dressing nicely option, but you’ll miss the whole point of afternoon teatime elegance. 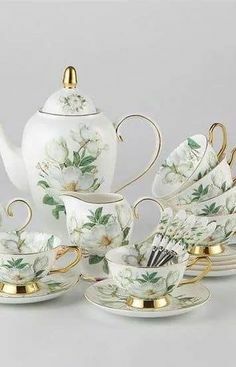 There is no hard and fast rule on what makes, and what does not make, a good afternoon-tea dress. This lets you have freedom to express your personality in your choices. Gone are the days when afternoon teatime held a strict dress code and every invitee also needed a parasol. These days, you can make your outfit style all your own. If you’re enjoying green tea or Matcha green tea for your daily time of tranquility, try incorporating the Japanese culture. A kimono-style short dress makes a wonderful selection. Even flowy dresses that feature oriental patterns or colors can help add to the ambiance and enhance your elegance level. Other cultural garb, such as saris from India or togas from Greece should open your eyes to countless opportunities. You can take the theme idea as far as you’d like, there are three hundred and sixty five days a year to try out a new one. The point is to keep your tea dresses pretty, comfortable and fun. Imagine yourself in a beautiful couture dress. Now, think of how difficult it is to breathe, how hard it is to keep the train clean and how impossible it is to sit down for long periods of time or walk without tripping. We are not talking about dresses like that. Tea dresses allow you to feel the beauty that comes with comfort, and that’s a pretty profound thing. When you’re comfortable, you’re relaxed and happy. When your comfortable clothes are pretty, things get elegant. The stress melts from your day, any feeling of frumpiness disappears and even bad-hair issues seem less important. You start to see the small, beautiful things that constantly surround you, and you embrace them, all because you choose pretty elegant dresses for your time of respite. 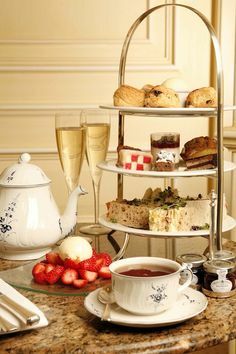 After a few weeks of habitual elegance and afternoon teatimes, you’ll start to see the vines of elegance gently twist their ends around different activities you take part in. You’ll even see the elegance start to seep into your décor. Your tea dresses are more than simple fabric, they’re a conduit to your inner elegant goddess. She’s the woman inside you who understands the beauty of existence and strives to make herself a part of it. And, believe it, she’s there. The Hippie Girl: Take advantage of flowers! Even the simplest dresses benefit from a few well-placed blooms and fresh leaves. 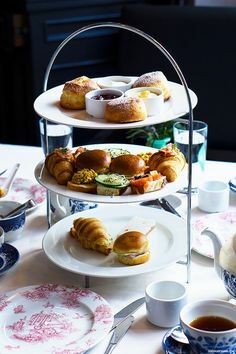 The Edgy Girl: Tea party is not the same as prim and proper. Dark colors are acceptable for modern tea dresses. So are short cuts, fringe and metal bedazzlement. The Fashionista: The goal of afternoon tea dressing is easy, comfortable simplicity. So, utilize your trendy talents with ultra-cool accessories. Think hats, sashes, or ankle bracelets to use in making your tea dress fashion statement. The Professional: No, your suit does not count as a tea party dress. But, please keep the pencil skirts and low heels. The Busy Mamma: Here’s your chance to enjoy something that’s just for you. Keep your afternoon tea attire separate from the rest of your wardrobe so you won’t associate them at all with chaos. That way, no matter which of your tea dresses you choose, it’s clean, available and wrinkle-free so that you can concentrate on elegance. For me, this dress is my all time favorite. It comes in many colors so there’s sure to be one that suits every lady’s ‘color’. It has over 3000 reviews, and an average review score of 4.5. So it has been tried and tested by many!